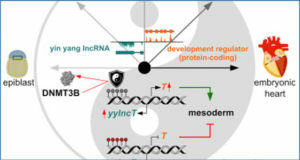 Recently, many lncRNAs were found to be deregulated in various human cancers and play important roles in carcinogenesis. 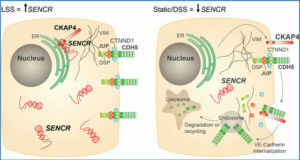 To investigate the association of lncRNAs to gastrointestinal cancers, 12 cases of esophageal cancer and hepatic cancer, 16 cases of gastric cancer and colorectal cancer and their matched adjacent tissue samples, 12 esophageal cancer cell lines, 7 gastric cancer cell lines, 10 colorectal cancer cell lines, and 11 hepatic cancer cell lines were examined. RNA-seq, bioinformatics pipeline, co-expression network, and gene ontology enrichment analysis were performed. Researchers at the Chinese PLA General Hospital have identified 23,169 candidate novel lncRNA transcripts. 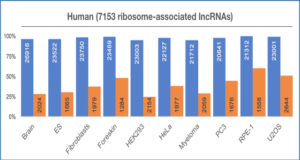 Comparing with protein coding genes the lncRNAs tend to be shorter and have less exons. 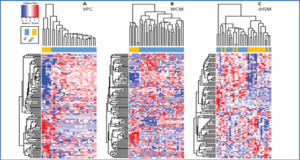 Remarkably, they found 15 lncRNAs that were down-regulated in all cancer cell lines among all four types of cancers. In addition, they analyzed the differentially expressed lncRNAs in gastrointestinal cancer cells before and after treatment with 5-Aza. Many lncRNAs were up-regulated after 5-Aza treatment, which suggested that the expression of these lncRNAs may be regulated by DNA methylation. 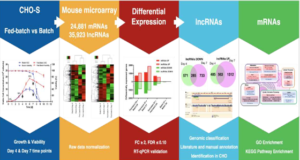 Finally, based on the co-expression network and GO enrichment analysis, the researchers predicted that many novel lncRNAs were involved in pathways like apoptosis, cell cycle, cell adhesion, EMT, epigenetic regulation, DNA damage response signaling, and immune response. 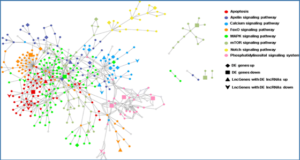 The RNA sequencing raw reads were first mapped and assembled into transcripts. Unrelated reads were then removed by four filter steps. In total, 23,169 novel lncRNA transcripts were identified. 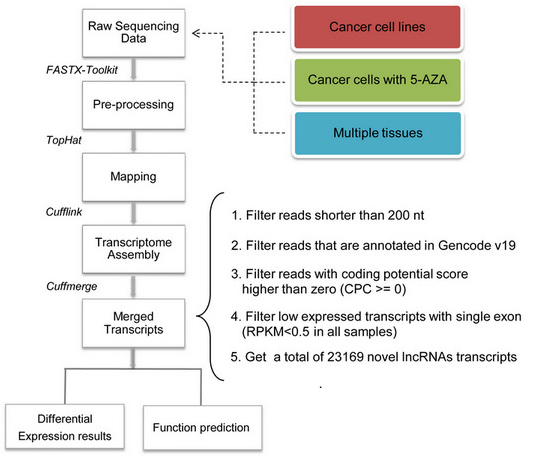 Then differential expression and function prediction analysis were performed to characterize cancer related lncRNAs.